On Tuesday, rescuers had to say a difficult goodbye to an elephant who’d lived a very hard life — but they did the sweetest thing for her. Fluffy, a 60-year-old Asian elephant, had spent the majority of her life hauling logs and carrying tourists on her back. 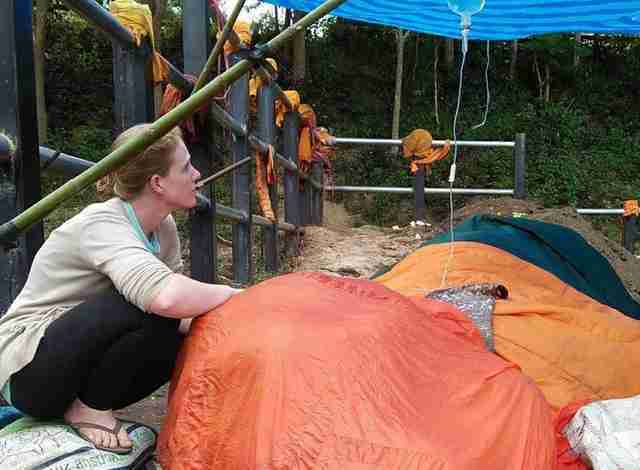 She may have continued doing this for many more years, but rescuers from Burm and Emily’s Elephant Sanctuary (BEES) shared her story and started a fundraiser to save her. 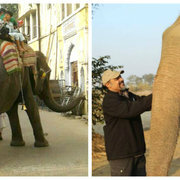 International Wildlife Protection, a Canadian organization, donated funds for her freedom so she could live out her senior years in peace. 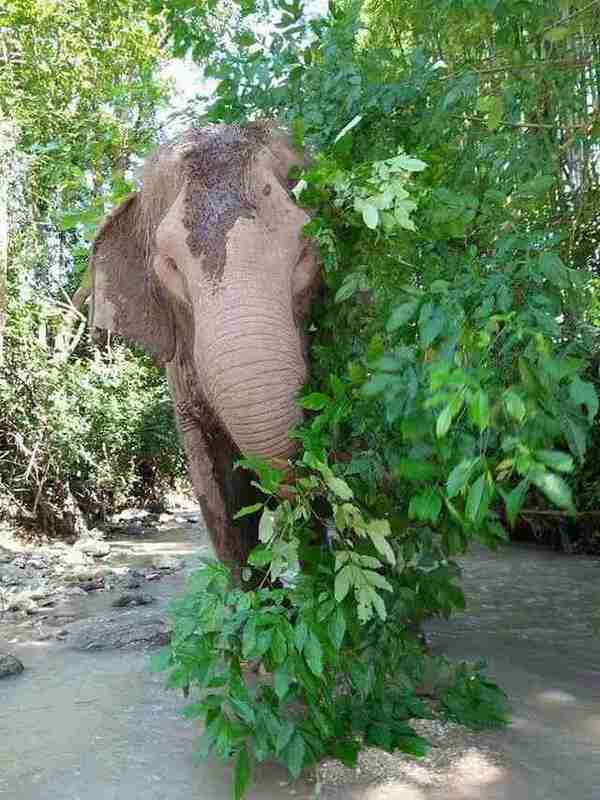 In October, BEES brought her to live at its sanctuary with other rescued elephants in Chiang Mai, Thailand. Fluffy slowly gained confidence over the next few months as she got used to her new home and new life. 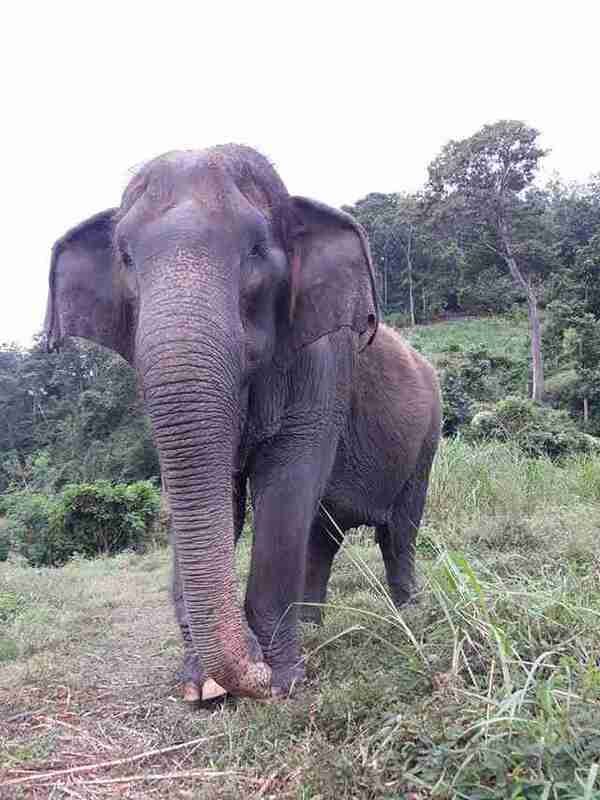 She also got to know the other elephants at the sanctuary. The team at BEES hoped that Fluffy would enjoy many more years of peace and happiness at the sanctuary — but sadly, it wasn’t to be. 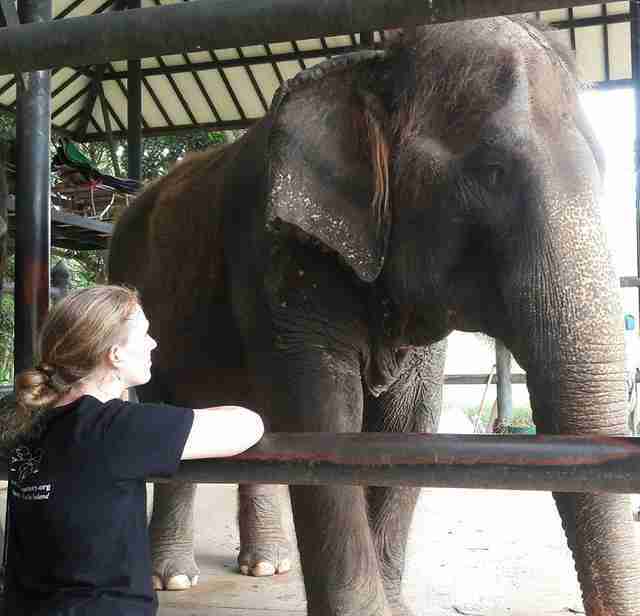 Fluffy had been dealing with an arthritic gait as well as a hip problem after her years of hard labor, and it eventually became too much for the older elephant. In late December, Fluffy collapsed and couldn’t get back up. 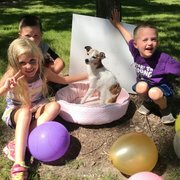 The BEES team did everything it could to help Fluffy, but Monday evening, she passed away. Fluffy’s time at the sanctuary may have been short, but the BEES team made sure that she would be remembered. 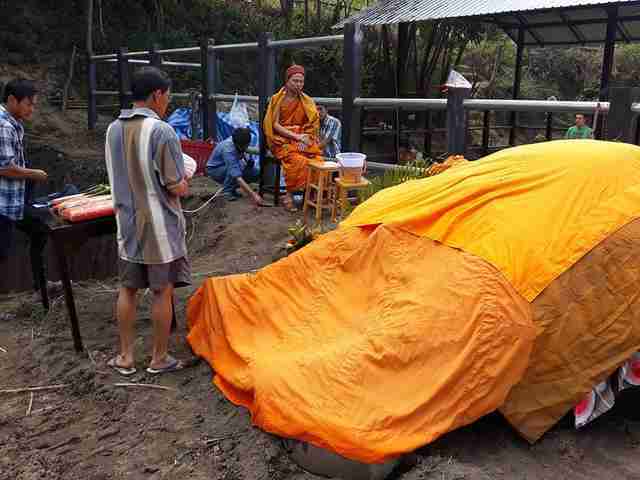 In Buddhism people give offerings to loved ones who have passed away. 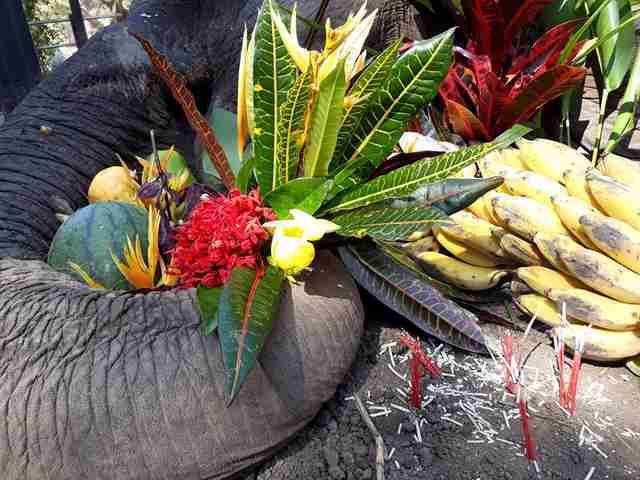 So this is what the BEES team did for Fluffy — they surrounded her body with offerings of flowers, leafy plants, bananas, melons and other foods that Fluffy liked to eat. 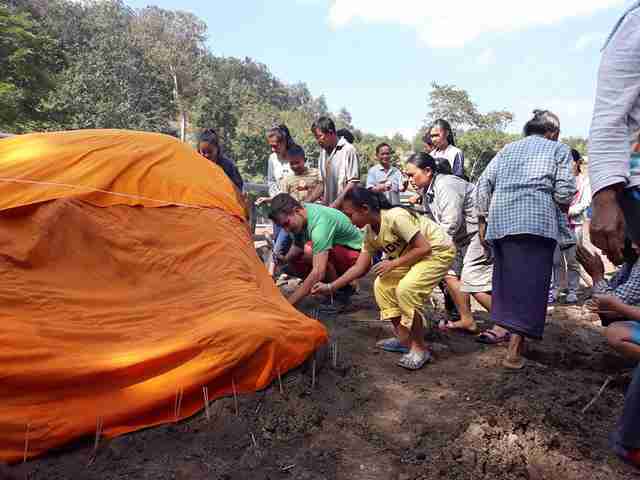 Villagers came by to pay their respects and to pray and light incense around Fluffy’s body. 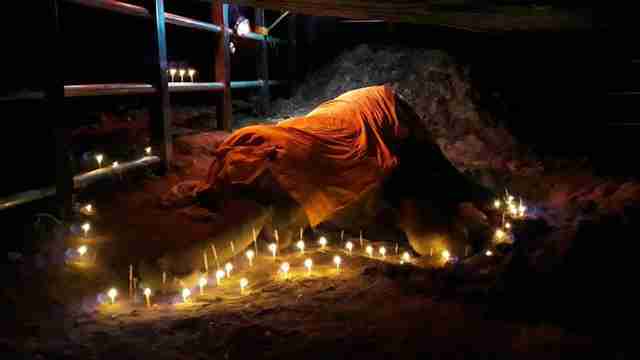 When night came, they covered Fluffy’s body with an orange cloth and lit candles around her. 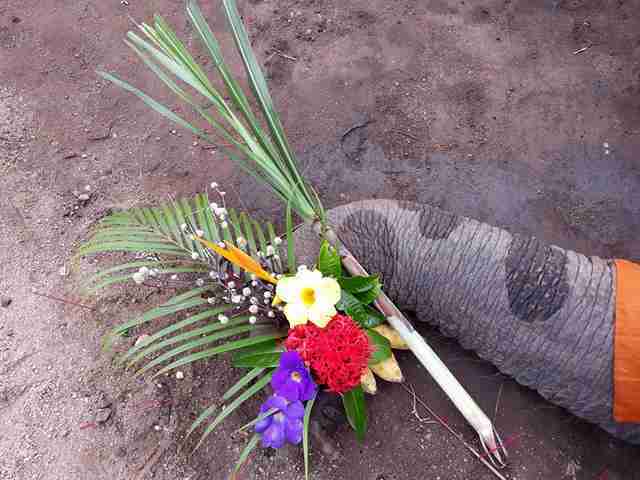 This isn’t the first time the BEES team gave an elephant a funeral. 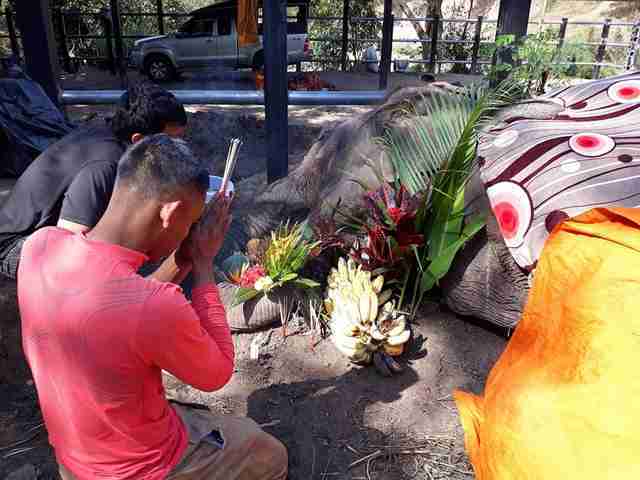 Last September, a 70-year-old elephant named Mae Mor, who’d also been used — and badly abused — in the tourism industry in Thailand, passed away after spending a few short months at BEES. Like Fluffy, the team gave her offerings of flowers and bananas after her passing. To help BEES sanctuary save the lives of more senior elephants like Fluffy, you can make a donation.